Each of us took a number. On those warm summer evenings, the Baskin-Robbins on South Blvd was packed. It was always easier to wait on the curb for your number to be called or just to stand outside, lean against mom’s station wagon, and listen to the car radio. The wait was excruciating. I lustily stared at the poster of the glorious, sauce-dripping Matterhorn stapled to the wall next to the digital counter. That creamy, seven scoop nirvana was a bridge way-way-too-far for my mom – no matter how much yard work I did. But my inevitable Daiquiri Ice in a sugar cone did the trick just fine. Leaning against the Buick, I could see the brightly-lit McDonald’s that was across the street reflected in the glass storefront. The lettered sign beneath the golden arches proudly read, “Over 1 Million Served.” To pass the time, I counted the people in line for ice cream and then tried to figure out how many days, weeks, years it would take this store to get to a million customers. Needless to say, it was a lot. The incredible sum always left me in awe of McDonalds. And it still does. That’s why I can’t get my head around the fact that at some point over the next week Acme will serve our millionth guest. One million! Like, you know, 1 plus six zeroes. In Carrboro! I’m blown away. But I don’t want Acme to just blow by this milestone, glancing over our collective shoulder as we speed past. No way. We’re going to make sure that our millionth guest remembers. And that we remember them. Free cornbread for life is a start – a not too shabby start. The lucky soul will be showered with additional indulgences to make sure that they never forget. I definitely think that Champagne is in order. But be assured that we will not show our hand. Only the barest minimum of people know the actual count. So, who knows? Maybe it will be you. Because it has to be somebody, right? There are still 6 seats left tomorrow night for our first Meet the Maker Dinner of 2019 featuring Chapel Hill Creamery. 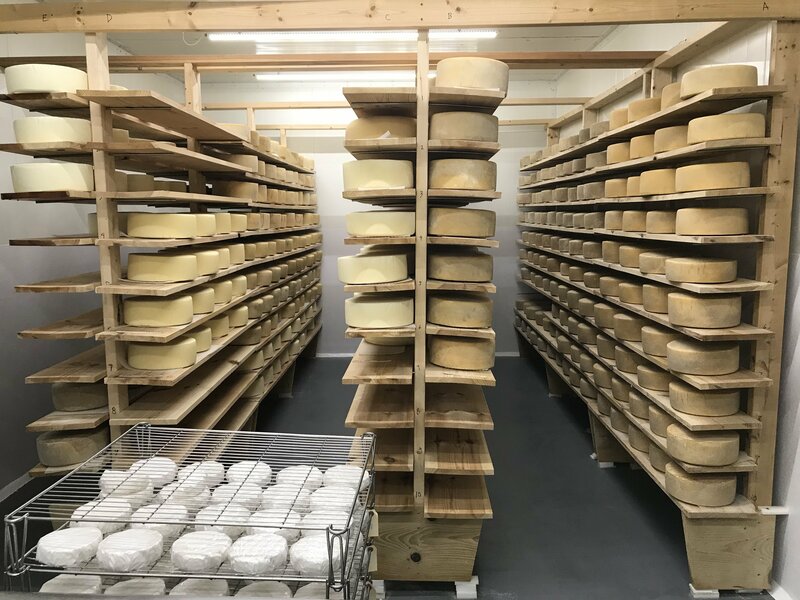 It’s four courses highlighting their national award-winning cheese with the added benefit of having eight members of their über talented team joining us us and sharing their story. It’s a real chance to break bread with the people who are making our world more delicious right here, right now. The dinner is $48 per person. Menu is below. All tickets must be purchased in advance by calling the restaurant (919 929 2263). We’ll get started at 6:30. It’s going to be a great night. And did I mention cheese? And tonight is $13.95 Tuesday. Every entrée, every Tuesday for a mere $13.95. Less than a movie ticket. And for all of you who went to see Holmes & Watson, well, enough said. And that $9 coke? At Acme, we’ll add your favorite tipple free of charge. And in a glass! Because, you know, it’s the little things.